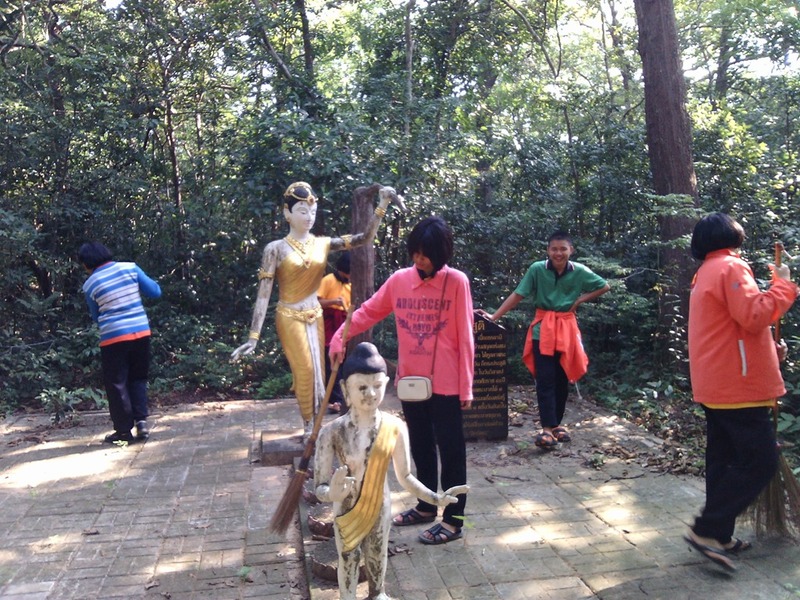 The forest has been surveyed for several months past by a local group organised by Mahidol University, Amnat Charoen campus. The work has relied heavily on a science teacher at Phana Suksa School who has brought some of her students with her and taken on the responsibility of collating the data collected and transmitting it back to the university. 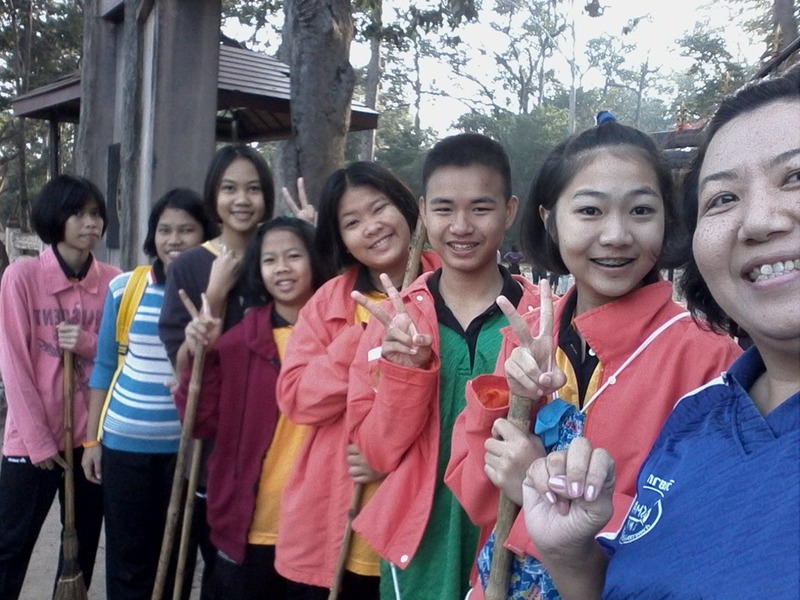 A few days ago, the same teacher, Ajarn Bu (Boo? 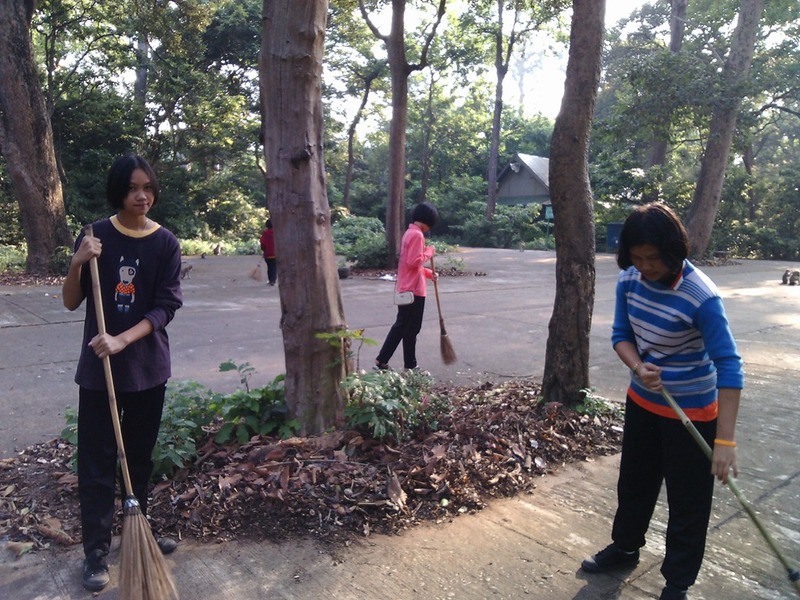 ), brought some of her students to help out by doing some cleaning up in the forest. They started at 7 am and left 3 hours later, after putting down unhusked rice for the ever-grateful long-tailed macaque monkeys. So, good work by these girls and boy. THANK YOU ALL VERY MUCH. 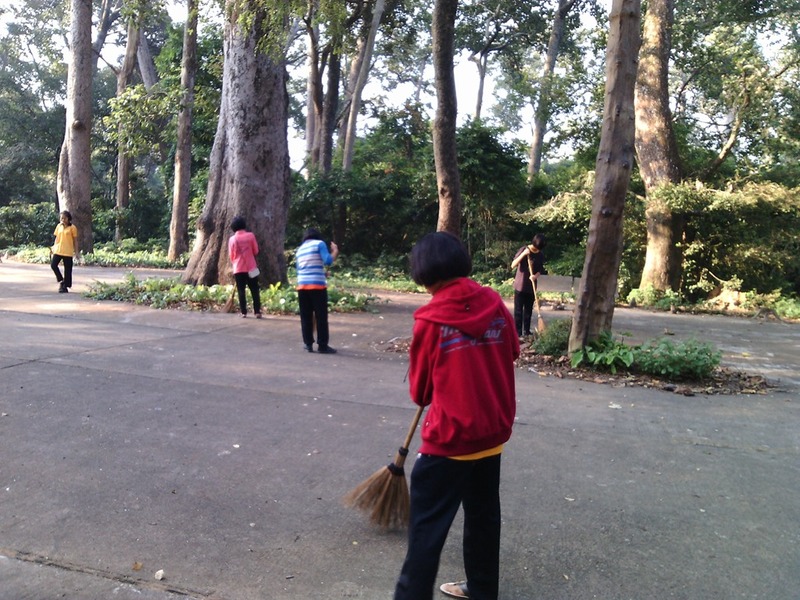 We hope that there will be more like you to come help maintain a clean and decent environment for the monkeys. 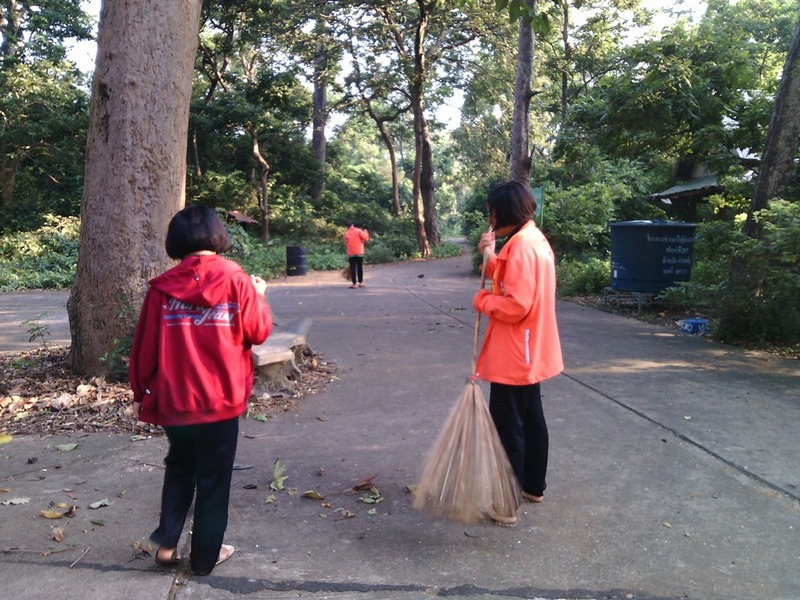 This entry was posted in Litter, Long-tailed Macaques, Monkeys and tagged clean forest, Phana Suksa School, volunteer help. Bookmark the permalink.